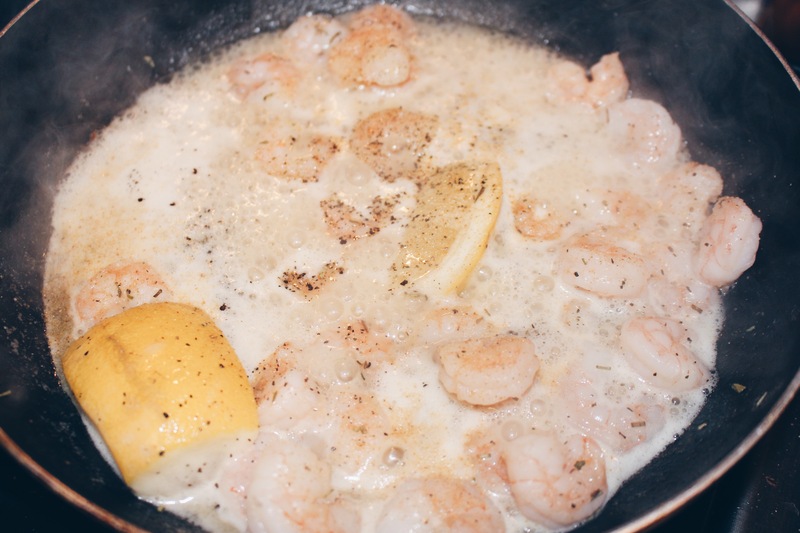 Shrimp scampi is one of my favorite dishes to make! You can have it as a side with almost anything! My favorite is the classic shrimp scampi over pasta YUMMMM! Or as a side with some veggies, for this one i had some steamed broccoli on the side and it was super delicious! Shrimp scampi is a really light dish and super easy to make. Want to learn how I make mine? Keep Reading..
Shrimp (obviously lol) – shrimp scampi can be made with any size shrimp especially since they will shrink. If your shrimp is frozen (like mine), you have to thaw it out. 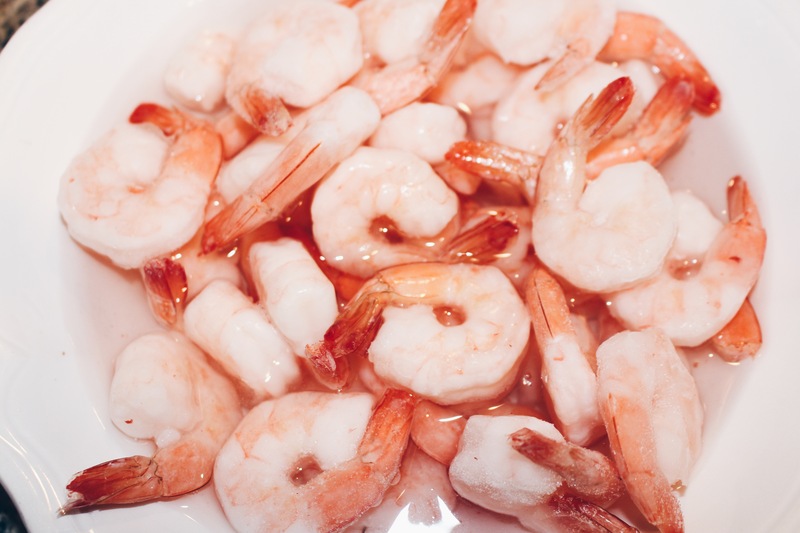 Pour your shrimp into a bowl with cold water and let sit for 2-5 minutes. If it is already thawed or once completely thawed, you can begin cutting off the tails (much easier to do this before you cook them than when you’re done cooking them). 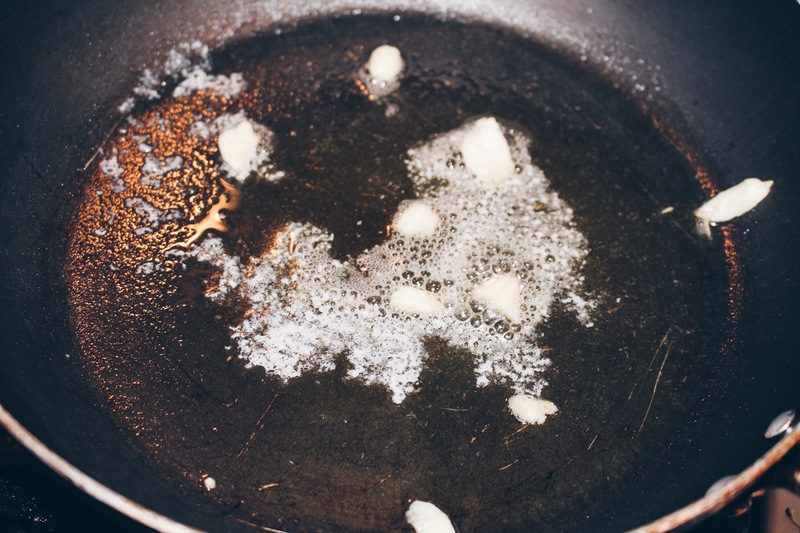 If you’re skipping the garlic move to Step 3. Cut up a little bit of garlic (add more if you like) and take a tiny bit of butter and start to cook that on a medium flame. 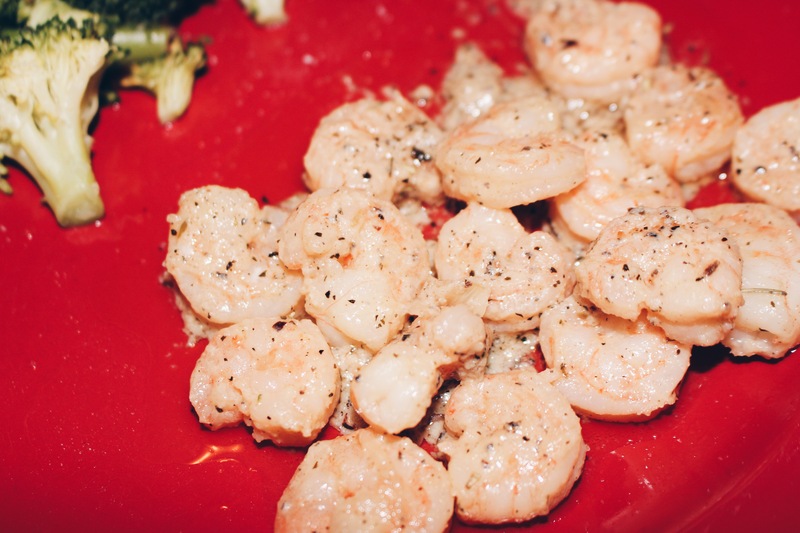 Let garlic cook before adding shrimp. Add in your shrimp and add in some more butter. 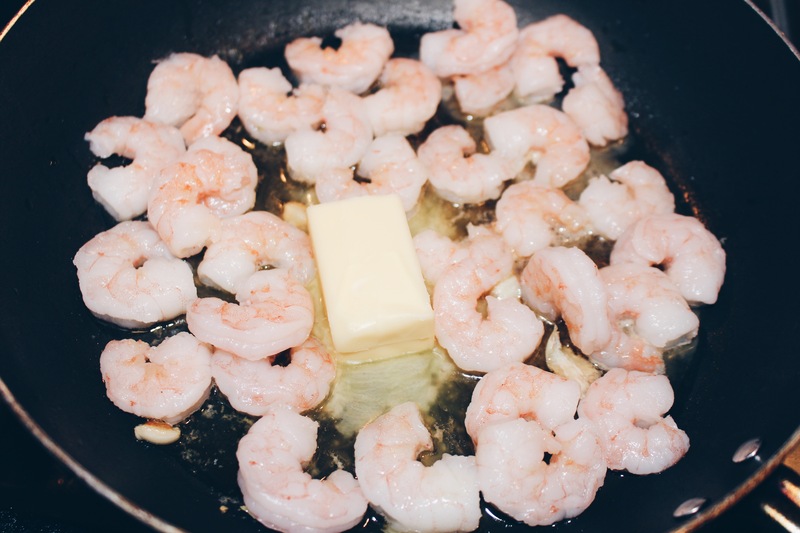 (the shrimp will cook better with a lot of butter in my opinion and from all the shrimp scampi I’ve ever had, it is always very buttery so add on that butter! (If you’re adding the shrimp scampi to pasta you definitely want to add a lot of butter for the butter will be your “sauce” for the pasta as well). Cut and add in your lemon, and seasonings for extra flavor! Flip shrimp continuously. Should be a light pink color once done. Taste to make sure they are fully cooked (takes about 15 – 20 minutes to cook). Add to your desired side dish or top onto some pasta! You can even just eat the shrimp without a side! 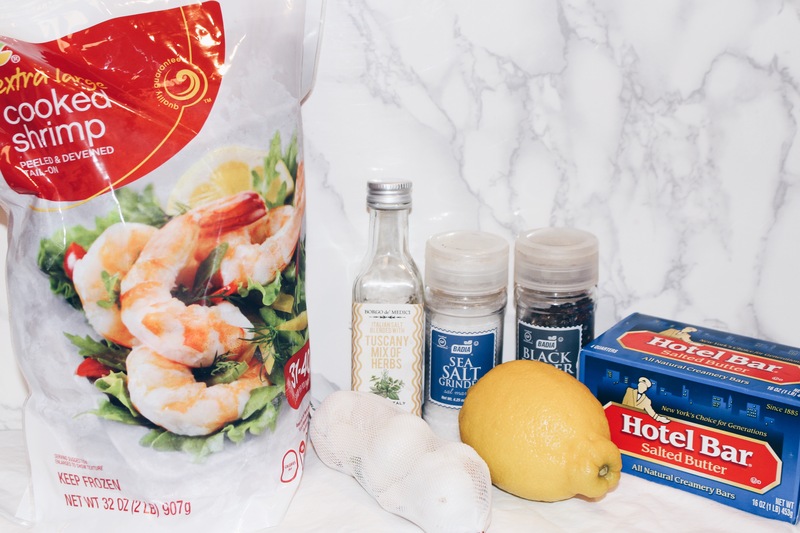 I hope you all enjoyed my Quick & Easy Shrimp Scampi Recipe! Thank you so much for this, I have bookmarked your page! You’re welcome! It’s a great recipe! I’m not much of a shrimp fan but I’ll foward this post to my Mom who does! Thank you! It is ! Thanks a bunch for the easy and delicious recipe! Cannot wait to try it! Currently starving – i NEED to make this!